Norman E. Dascher Jr. was named The Hyde CEO after an extensive national search. The board of trustees of The Hyde Collection has appointed Norman E. Dascher Jr. as chief executive officer after an extensive national search. Dascher, a resident of Diamond Point on Lake George and longtime regional nonprofit executive, brings to The Hyde more than three decades of nonprofit leadership experience. He succeeds Anne Saile, who has served as director since June 2017. 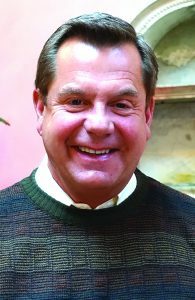 Most recently, Dascher served as president of Samaritan and St. Mary’s Hospitals in Troy, and as vice president of St. Peter’s Health Partners. He has earned numerous honors, including the Regents Award from the American College of Health Care Executives, Albany-Colonie Regional Chamber of Commerce’s Time and Service Award and United Way’s Unsung Hero Award, among others. Museum officials said his appointment at The Hyde comes after a particularly successful few years, marked by increased donations, innovative programming, and community collaboration. In June 2016, the museum opened Feibes & Schmitt Gallery, a 1,500-square-foot space dedicated to the exhibition of Modern and Contemporary art, broadening The Hyde’s scope, which already included Medieval, Renaissance, European, American, and decorative arts. In June 2017, Saile was appointed interim director. Under her tenure, The Hyde thrived, with attendance on target to surpass that of 2017 by 20 percent, children’s programs flourishing, and increasingly innovative programming giving visitors new ways to experience art officials said. The search committee was led by Chelsea Silver, co-vice chair of the museum’s board of trustees. Dascher has also worked at Northeast Health in Troy, Albany Memorial and Samaritan Hospitals, and Ellis Hospital in Schenectady, overseeing capital campaigns and leading construction, expansion, and renovation projects. He created a women’s health center at Samaritan Hospital, negotiated labor agreements with the New York State Nurses Association at Ellis Hospital, and planned and opened the region’s first freestanding urgent care center. He has served on the Troy Strategic Planning and Development Committee and on the Troy Redevelopment Foundation. Dascher earned a bachelor’s degree in business administration from University of Massachusetts-Lowell and a master’s degree from George Washington University. He has lived in Lake George since 2010.